Generally when I take a brief for a wedding the bride and maybe her mother or chief bridesmaid and I will go over pictures, flower varieties and the colour scheme for the day. Sometimes they take away magazines or books for inspiration and we visit the venue, and then we get a list together. Once I know what’s wanted and everything’s confirmed I file away all the details until much much nearer to the wedding. A couple of weeks before the event I always get out the list of flowers and send it off to the bride for her to double check. In the months in between there might be another buttonhole or two, or maybe gift bouquets to add, but that’ll be about it, and then off we go. This time when I looked at the order I was looking forward to putting together the soft colours to create the bouquet. The bride was quite clear that she didn’t want anything that was too contrived. 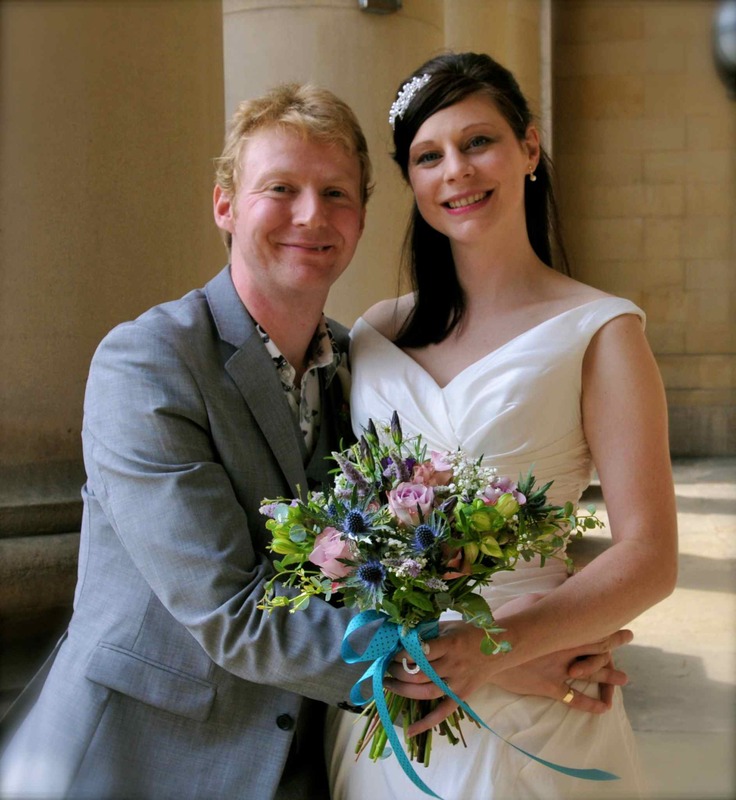 I really enjoyed choosing flowers that would create the feel and go together well and once I’d chosen the right flowers the handtied bouquet almost put itself together. 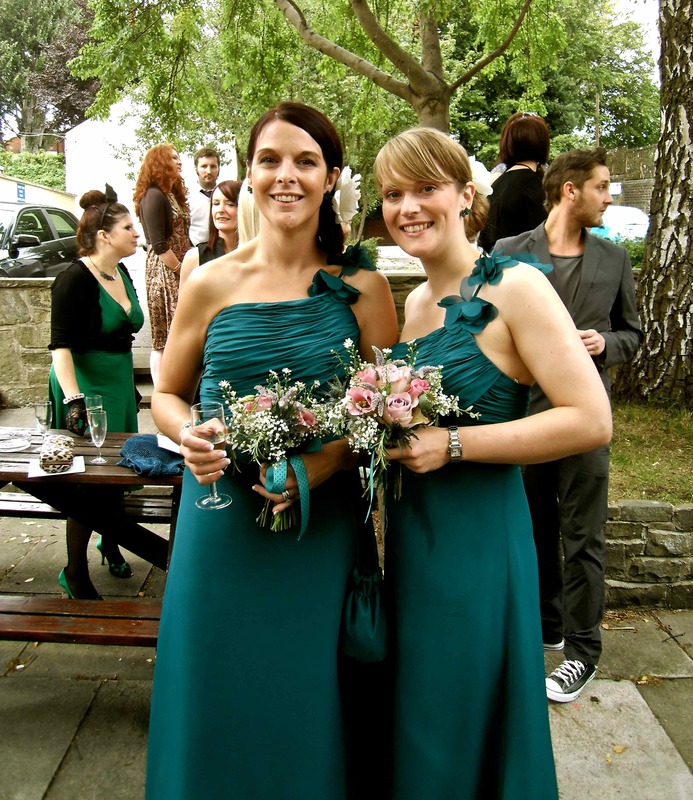 The bridesmaids’ posies incorporated the same flower choices and toned beautifully with the teal dresses. Inside the venue the fireplaces lent themselves to decoration. Across the top of the mantlepiece an arrangement was fixed which tied in to the one in the fireplace itself and on the tables informal vases were put together and the table numbers sat in the vases as well. Neat little blackboards on sticks which the bride had found and which I loved. Must ask her where she got them from….. 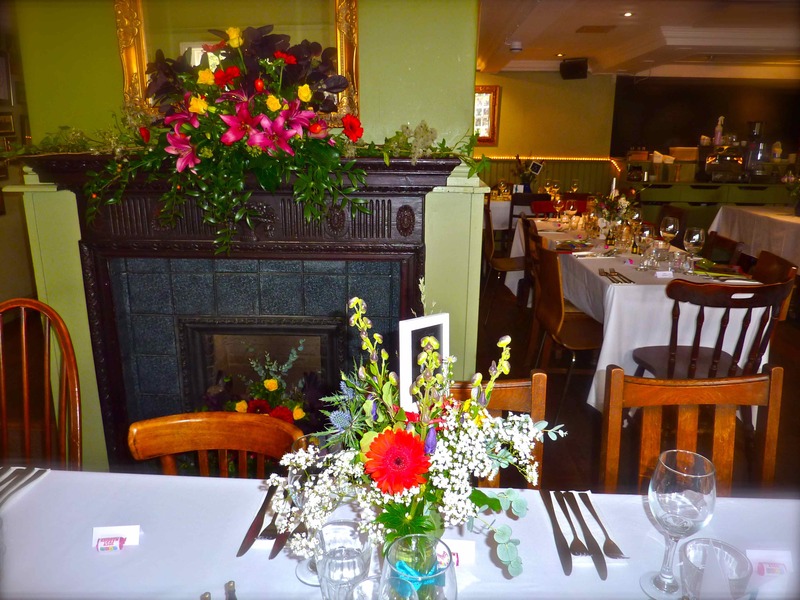 The couple really did love their flowers – and I loved putting them together. So guys, many congratulations, and thanks for asking me to put them together….I enjoyed it enormously.